Our folding leather storage boxes are an attractive option for storing binders, documents and bulky items. With no assembly required, it folds down neatly for compact storage when not in use. The box has a lightweight design and is made from strong MDF and hard wearing PVC/non-woven polyester with a PE coating. 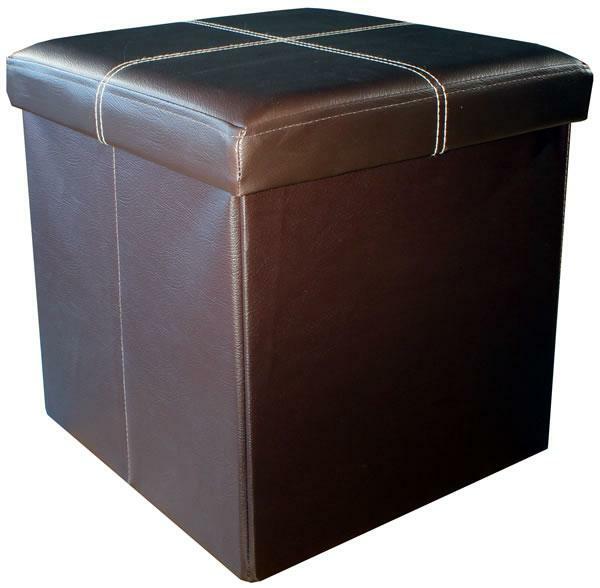 The lids are padded, making a comfortable stool or foot rest. Small box is approx 30 x 30 x 30cm when in use, and approx 30 x 30 x 6.5cm when folded down for storage.